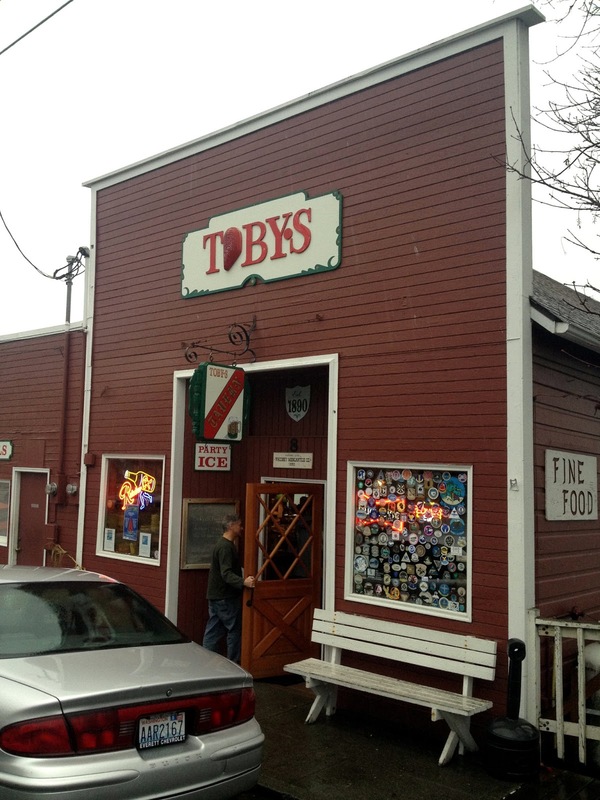 Toby's Tavern is a nice little joint for a beer and some pub food, in a historic space in Coupeville, the second oldest town in the state of Washington, founded in 1852 by Captain Thomas Coupe. It's a fine place to sample the Penn Cove mussels, or just grab some halibut fish and chips or a bowl of clam chowder. 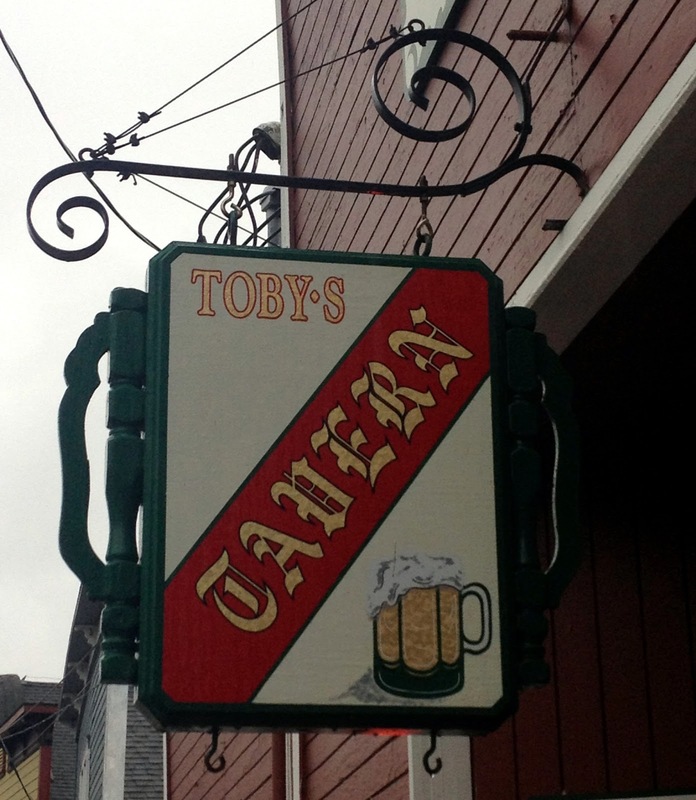 A decent selection of beers includes their own Toby’s Parrot Red Ale. It gets a fair amount of tourists but still feels like a primarily local place, with the servers calling people by name and giving them grief. The walls are pleasantly cluttered with artifacts and old photos. The place has been "Toby's" since sometime between the mid 70s and late 80s (1988? ), but it has been a bar since 1938. The construction date of the building is unknown, but at least a portion of it goes back to at least 1890, with various estimates ranging from 1869 to 1875. It is one of a handful of buildings built by John Alexander S. Robertson in the 19th century which are still in use today. 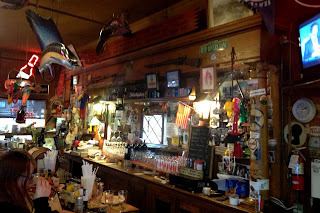 The back bar dates back to the 19th century, and was moved to its current location in 1943, when Vique Sealey purchased the place and moved the bar there from his Central Hotel location across the street, which had been seriously damaged by fire. The back bar had been used in the Ft. Casey Officers Club in the early 20th century, and stored at Ft. Worden during prohibition. The business was Sealey's Tavern until at least in the early 70s.